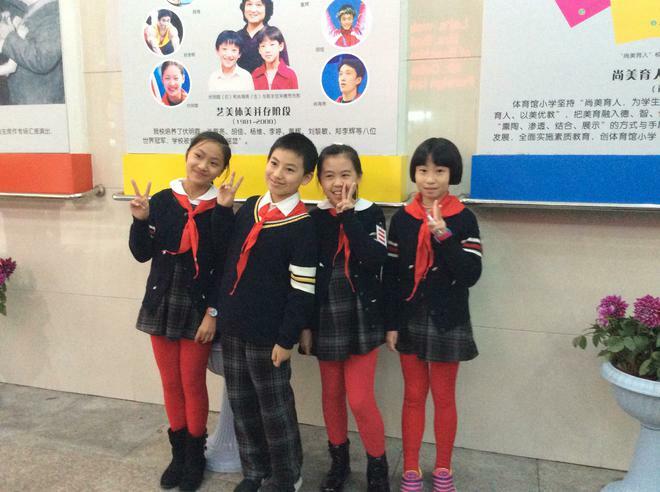 Day 2 began with an 8 o clock start to Wuhan Number 4 Middle School( age 11 to 14.) We were met by the children who put on the most amazing poem and dance for us. Hopefully I will upload a video of the dancing! We then met the principal and other staff members. After that it was off to see a maths lesson. It was out of this world and Mr Cloughley would have loved it! There were 60 children in the class all in rows and behaving perfectly, while being challenged through a calendar maths investigation. I even found myself trying to solve the problem! Then it was off for another lunch ( lotus root was the speciality today!) After a lunch time nap our next stop was Wuhan Primary School which was an amazing experience. Their ethos was so like ours and the children were all active and working on their afternoon activity classes. The children were all smiling and showing us around in their near perfect English. This time we were shown a P1 lesson using smart boards and interactive technology ( Miss Irvine this one was right up your street.) When the lesson was over it was off for a traditional tea ceremony and yet another banquet. Another day over! This place is truly amazing, the people are beautiful and the whole nation respect one another and appreciate the gift of education.